Want to Get Into The Club Business? Start By Clicking Here to Sign NDA. Here is the club and restaurant you have been looking for. This is a nearly all cash business that actually has books to review! Seller may consider financing with your good credit and experience. Completely renovated and remodeled. Full kitchen and two full bars this is a great set up. Location is raking in the cash. Owners have operated location for nearly fifteen years and are tired of the club and restaurant business. They are ready to cash out and turn the bar over to the next success minded owner, it's your turn. Are you ready for the club ownership lifestyle, late nights filled with lots of cash counting, yes it's a tough job but someone has to do it! . 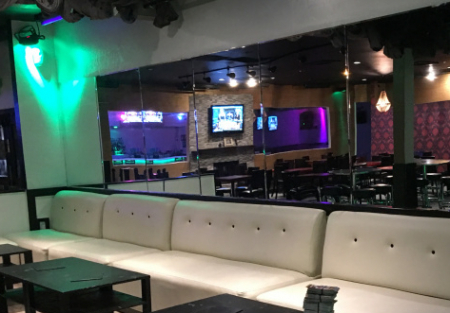 The location is outstanding with no competition anywhere around the place, it’s the only club like this for miles, located in an upper middle income area. The location is just minutes from downtown San Diego, The South Bay area and most other parts San Diego County. This club and restaurant is close to all with plenty of parking, easy in and out access and great rent. This is the total package. Club and bar business is booming, Thursday-Saturday is standing room only, with the nightly specials that draw crowds in for the fun, good times and great food and drinks. The full kitchen includes hood system, fryers, grill, stove tops and allows for supplemental business that currently is barely being tapped. The rent is the same whether you capitalize on all the opportunity or not, you may as well maximize the revenue stream. Current concept has been working for 15 plus successful years. Can you improve upon it and make even more money? The club hosts live bands and is set up with two dance floors, a VIP lounge area, a raised DJ booth, one huge main bar area and a separate bar area for the overflow. Sound and lighting systems are both high and and are huge contributors to the ultra fun atmosphere. Can be set up as bar/club only or restaurant only. You could literally have two separate businesses operating out of the same space. Go See this Listing by Clicking Here. It is set up for success and that is exactly what is going on. It has everything you need to keep the party going; fifteen years and they are going stronger than ever. Current owners have had their fun and made their money, is it your turn to own this long established and newly improved, extremely popular club, bar and restaurant? Seller states current year profits of approximately 10k per month on gross sales of 70-90k per month. Recent years show approximately 100k in annual adjusted net profit. Base rent is $ 7787/month plus NNN of $3217 for this 5040 square foot of interior space and also includes a large, very nice enclosed patio area. Current lease term expires March of 2023 with a five year option available. Profits and square footage to be verified by buyers. Broker has not verified this information.